Ashley, a sales representative for Big Sales Corp, is going to a dinner event with prospective clients. When she arrives at the event she realizes what she thought was a formal dinner is in fact a backyard picnic, meaning she’s way overdressed in her black suit and pearls. What should she do? Sounds like a crazy scenario, right? We admit it may not be common, but it could happen, and provide an opportunity to learn. This is an exaggerated example of a short case study. There are a wide variety of tools utilized in elearning courses and case studies help to apply content to real-life situations. According to Harvard Business School, the case study method is the best way to prepare students by placing them in the role of the decision maker. Case studies are opportunities to apply course material or overcome a relevant challenge in a real-world scenario. By setting up scenarios that cover a wide range of problems found in business today, along with the considerations, facts, constraints and unanswered questions, students exercise their ability to process the information, analyze options, and make difficult decisions. One of the unique benefits of using case studies in the learning environment is that the student is naturally inclined to consider multiple perspectives, outcomes and solutions. Skills strengthened with case studies include problem solving, analytical thinking, decision making in complex situations, and coping with ambiguities. These skills can be presented in a course, but cannot be fully developed until they are applied. Case studies are presented as stories, which make them powerful and memorable learning opportunities. 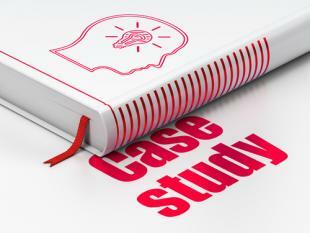 How can case studies be applied to elearning? Integrating case studies into elearning courses keeps learners actively engaged with the content, offers memorable learning experiences, and introduces opportunities to apply learnings immediately in a safe, risk-free environment. Short in-course case studies: Presenting a brief scenario with accompanying questions provides contextual applications of course material. Students can evaluate the situation, call upon their learnings to analyze options and apply knowledge immediately. Interactive: An interactive case study can be in a multitude of forms like having the learner play an investigative role to presenting a video to watch from a third-person perspective and answer questions based on character actions. Learnings from these interactive case studies are incredibly memorable. Through-course case studies: This includes turning your course into a walk-through of a real-life situation without ever requiring learners to answer questions. Through the entirety of the course one case or a series of cases are provided as examples and data or scenarios are analyzed. Extra material: Offering ungraded case studies as extra material allows for the inclusion of a full case study, gives eager students the opportunity to test their skills without concerns of grades. So here is a case study for you: you are creating a new elearning course about a complex topic and you want it to be real-world applicable. The best option is, naturally, to include a case study. How do you integrate it?